When you are trying to get a file transcribed, hiring a freelancer might offer itself as a promising option. But the reality may beg to differ. When compared to a transcription company, a freelancer might lack the specialised skill, knowledge, and may even come with a lot of hassles. But that’s just the tip. There are many other points where a transcription company would outweigh an individual freelancer even when the person is sincere about the work. The first step is to find a person who will offer quality job in a timely manner. This is especially true if the person is a newbie trying his/ her hands at transcription for the first time. Even after hiring a freelancer you may have to send a file and follow-up on a regular basis to ensure that the job is getting attention. Even when you manage to find a freelancer, credibility remains a grey area. It depends upon you to ask for recommendations so that you can make a more informed choice. A company on the other hand offers a much organised service. Plus, it is always easier to find out the reputation of a company rather than an individual freelancer. An individual freelancer might not be able to manage a lot of files together. A company however can do that with ease since it has the resource that is needed for this kind of job. Hence even when someone fails to do a job, the other person in the team jumps in. And you are kept out of this hassle because you get your work delivered right on time! 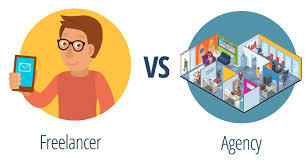 A company has a fixed rate, but a freelancer does not. The latter often determines his/ her pay rate which might not be suitable for your purpose. You might end up having to negotiate for a lengthy period of time. Even when you agree to pay a hefty sum of money to a freelancer transcriber, you may not get the quality of work that you deserve. On the other hand, a transcriber asking for too low a rate almost always ends up delivering sub-standard work. Apart from the usual cost and quality problems, even a sincere freelancer may be unsuitable to handle all kinds of accents. A company, with its rich resource, training, and specialisation can be the better and more efficient alternative. 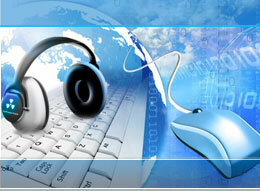 Scribie, an audio and video transcription service has been serving its customers since 2008. Over the years, we have earned a reputation of delivering high quality transcripts at an affordable price. So, the next time you are in need of transcription, think of Scribie first. Start uploading your files and get high quality transcription within the timeframe that you choose.